Today, about 95 percent of the world’s top companies widely use outsourcing strategies and offshore services. Outsourcing is an excellent chance to minimise expenditures necessary for the company’s development. It is especially beneficial for startup companies, as it allows running and developing business without making huge investments. 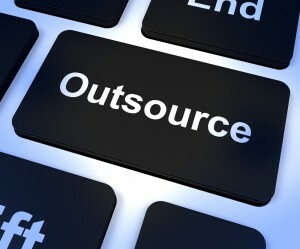 When profit is minimal and avoiding expenditures is impossible, outsourcing is a good way to save company’s expenses. Finding quality offshore services has never been easier. Today, virtually every service you might need, can be obtained in the outsourced form. Outsourcing helps not only cut down expenditures, it gives more flexibility and allows finding highly-qualified labor. Most companies (both big and startup) are interested in IT outsourcing services. If your company is in need of quality IT outsourcing services, the best destination to look for this type of services is Ukraine. Though some companies prefer dealing with Indian IT specialist, cooperation with Ukrainian companies is usually more fruitful and beneficial. Skills and talent of Ukrainian IT specialists are highly appreciated all around the world. Ukraine developers are not just talented and experienced, most of them are qualified specialists. Indeed, Ukraine is in the top 10 list of countries with the largest number of qualified IT experts. When hiring Ukraine’s developers, you should not worry about a language barrier, as most IT specialists have a good command of the English language. So, a partnership with a Ukrainian IT outsourcing company is a perfect chance to hire reliable, skilled and devoted IT specialists who’ll do their best to help your company grow. It is not a secret that Ukrainian IT outsourcing specialists charge less for their service, than their European colleagues. So, another advantage of outsourcing to Ukraine, is an opportunity to have not only qualified, but also low-cost labor. Since most startup companies are highly concerned about their expenses, and take every money-saving opportunity, IT outsourcing to Ukraine is a real catch for companies with a tight budget. One more benefit of outsourcing to Ukraine, is its geographical location. Ukraine lies in the same time zone with most European countries. Time difference makes less 2 hours, so there is no need getting up early in the morning or work late hours, to get in touch with your Ukrainian partners. Moreover, a flight to Ukraine will not take more than 2-3 hours. Ukrainian IT outsourcing industry is developing with an enormous pace. Every year several new companies start offering their IT outsourcing services. Thus, to find a reliable and experienced company, it is crucial to perform a thorough research. One of the most reliable and experienced IT outsourcing companies in Ukraine is lezgro.com. The company offers a wide range of IT services and is ready to bring to life even the most challenging and unexpected ideas. When cooperating with Lezgro, you can be sure that you will get an excellent product tailored to your specific requirements.